There is perhaps no ritual as exciting as the bachelorette party. Of course the wedding is the main event. You plan for months, and you make sure everything is absolutely perfect. But with the bachelorette party or bridal shower, you get to let down your hair and just have some fun! Push planning aside for awhile and unwind. This is an occasion focused around getting together with your girlfriends and enjoying the moment. Historically, bachelorette parties involve restaurants, bars, even limos. 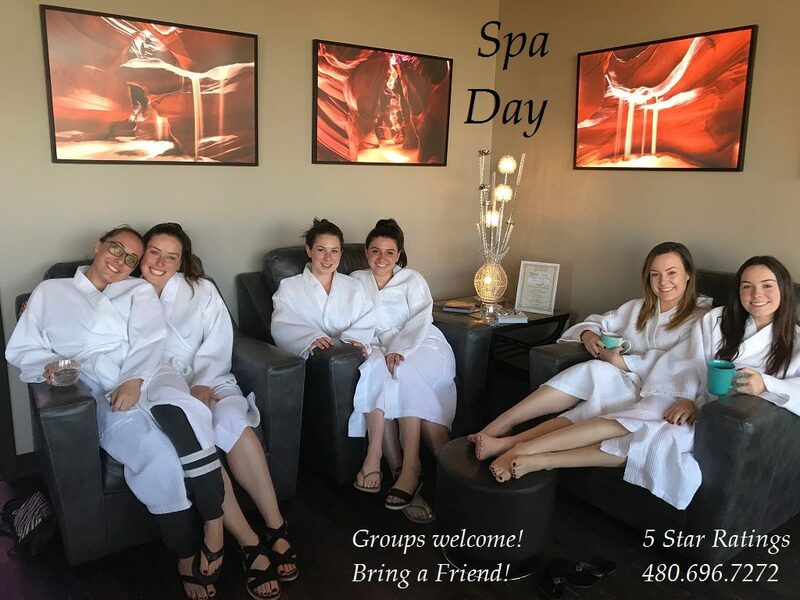 More and more, bridesmaids and their bride are heading to day spas for some pampering, a relaxing massage, and a re-energizing facial. A spa really is the perfect kick off to the bachelorette party, bridal shower or bachelorette weekend. You get the royal treatment as it were, as you prepare for a night on the town. So let’s say you are in charge of planning the bachelorette party. You obviously want everything to be perfect. We’ve probably all seen Bridesmaids and know that sometimes these events can turn into epic fails. We, at Inspire Day Spa, wanted to offer a few bachelorette party pointers to help ensure your day goes off without a hitch. Communication is key. If half the girls know what’s going on and the other half have no clue, odds are things aren’t going to go very smoothly. Whether by text, phone or email be sure to let everyone know the order of operations. A great idea is to start an email thread. This way you’re all on the same page. Try and Get a Consensus. The last thing you want (or the bride wants) is to force people into activities they have no interest in. Talk as a group. Exchange ideas and see what might suit a variety of tastes. Create an itinerary. Particularly if it’s going to be a bachelorette weekend, it’s better to have a schedule in place. This way, for those coming from far away, they know what is happening and when. According to BridalGuide.com, this helps guests feel more comfortable, as they know what they’re in for and what they will be spending money on. Be Creative. No one wants the same old, same old. This is why bachelorette spa deals are so great. Inspire Spa as well as New Serenity Spa have a variety of treatments and services to suit a range of needs. The most important thing is to make it special for the girl about to get married. This is her moment to unwind with her closest friends and truly enjoy the last days of being single. As one of Phoenix’s premiere day spas—we want it to be one of the best parties she’s ever experienced. Book today and let’s make your bachelorette party or Bridal Shower spectacular!